Salmon River "The River of No Return"
Cutthroat, Rainbow and Bull Trout, cast from the raft or walk and wade the tributaries. Fishing on the Snake River in Hells Canyon from Jess Baugh on Vimeo. Let our experienced guides take you on an adventure of a lifetime, escape into the wilderness for native Cutthroat and Rainbow Trout. 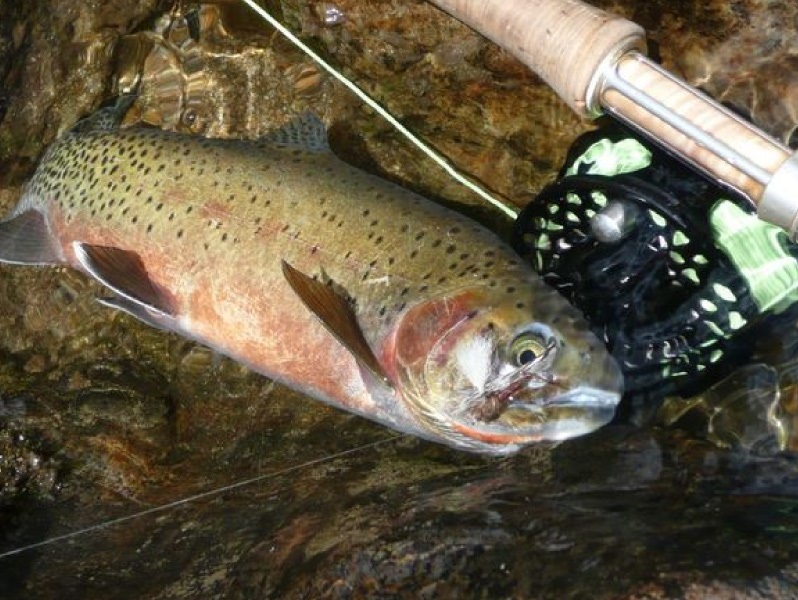 Spectacular scenery and wildlife surrounds you while casting to Rainbows from the raft or wading the side streams for Cutthroat or the occasional Dolly Varden. With our deluxe riverside camp waiting for you at the end of every day on a new beach or at the mouth of another side stream. Your guides will prepare great dutch oven cuisine while you relax in the pristine River of No Return Wilderness and relive the fish and the adventures of the day. This is not just a fishing trip but an adventure vacation in the Frank Church Wilderness. You will enjoy fighting Cutthroat and Rainbows in the unrivalled serinity and jaw dropping beauty of forrested canyons and granite walls. The Main Salmon will amaze you with many great white sand beaches and camp sites surrounded by Poderosa Pine's. Mountain River Outfitters exceptional backcountry accomodations along with 1 night at China Bar Lodge, proffessional guides, river craft and gourmet river kitchen insures our clients the best experience available. What's included: With MRO you will only need to find yourself in Riggins the night before your launch date before 8:00 PM Mountain Time for a pre-trip orientation. We include lodging before your trip along with all transportation to and from your Riggins Idaho accommodations. Air charter is provided to get you over the wilderness and to the launch site. You will receive your MRO duffel, personal dry bag at this pre-trip orientation. 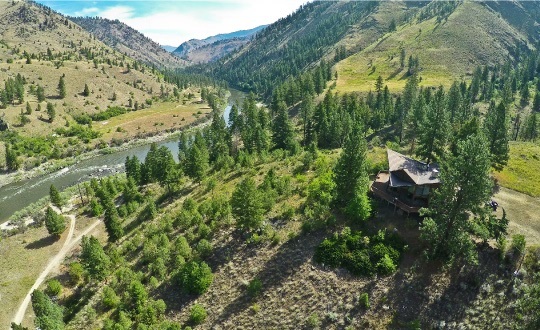 This trip features great Cutthroat fly fishing from our lodge on the South Fork of the Salmon River at Mackay Bar in the River of No Return Wilderness. 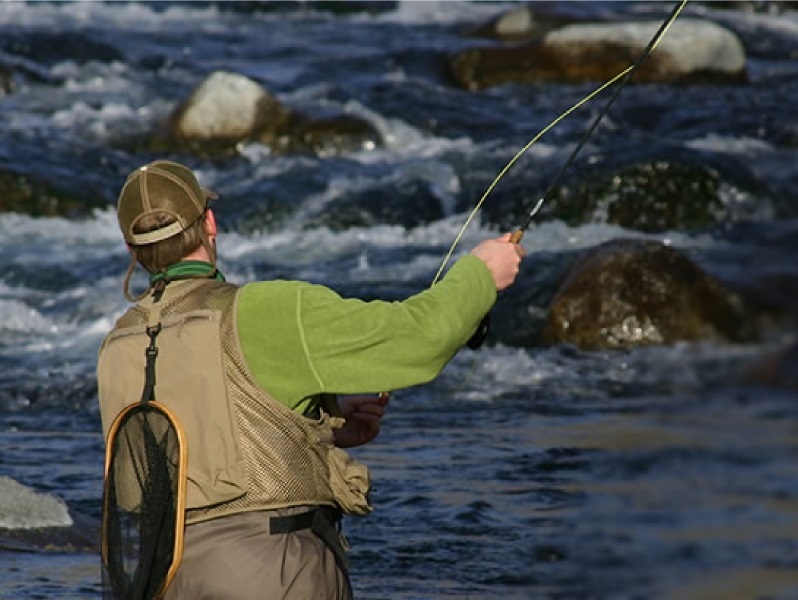 We also have our experienced guides take you by jet boat for more great small stream fly-fishing on several tributaries of the Main Salmon River, offering miles of water to explore right from the lodge. 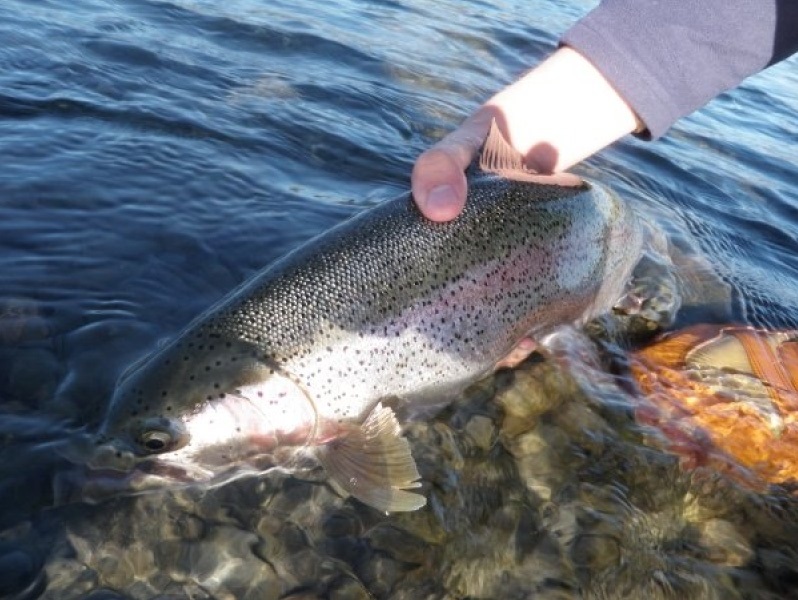 Most fish caught are Rainbows, Bull Trout and Cutthroat trout. Most of the streams are within a short jetboat ride from the lodge. These streams are very productive for those willing to walk and wade, and while the fish are not huge the fish are plentiful. You will be picked up at 2:00pm and transported to the lodge the 1st day this will give you a chance to relax and get ready for the full day of fishing the next day or take a few hours and fish around the lodge. After a hearty breakfast at the lodge you will be transported by jet boat to one of the tributaries of the Main Salmon River. These small streams are full of trout just waiting for your fly to hit the surface. After a full day of Walk and Wade Fly Fishing we will bring you back to drinks on the deck a hot shower and great food at the lodge. Those still wanting more can take a hike from the lodge and catch a few more as the sun sets in the canyon. The last day you can choose to see some historical sites on the way out or spend a few more hours chasing that big rainbow or bull trout. You are back to the end of the road at 1:00pm.